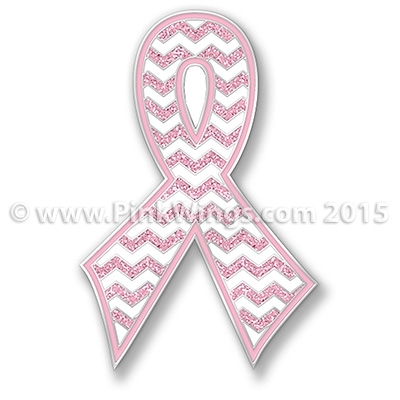 The latest Pink Ribbon pin in our Pink Ribbon pin series is a Chevron Pink Ribbon. This pin has pink glitter. The ribbon is white and pink, which is becoming the colors of the Co-Survivor..the many people that help us along the way as we are going through treatment for breast cancer. Our Co-Survivors are our mothers, daughter, sons, husbands, friends, and co-workers.